Published: Jan 26, 2006 to ? 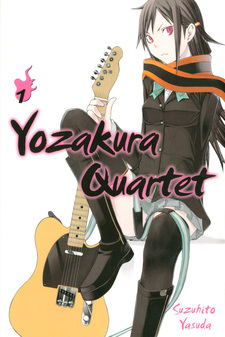 The story revolves around four teenagers; Akina, Hime, Ao, and Kotoha; each of them having their own unique abilities. They run an office called Hiizumi Life Counseling Office, where their job is to help and protect the townspeople of Sakurashin, a town where humans and youkai co-exist. The town is protected by a barrier created by the spiritual sakura known as The Seven Pillars. The Seven Pillars exist in both the human world and the youkai world and is the only thing that keeps both worlds connected to each other. However, recent bizarre incidents have occurred in their town and someone has threatened its safety. It is up to the four of them to protect the town they love. 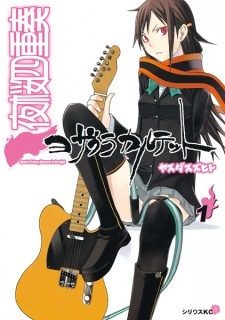 Yozakura Quartet had five volumes published in English by Del Rey from February 26, 2008 to September 29, 2009, before the publisher became defunct. Kodansha Comics USA has taken over the license, and has been publishing the title digitally since August 2, 2016.